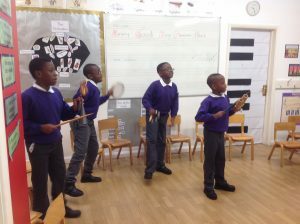 Brunswick Park is one of four resourced schools in the borough, focusing on delivering a specific educational programme for children identified with Autistic Spectrum Condition (ASC). Brunswick Park Primary School has 21 places for children with ASC in the Resource Base provision. To providing the best level of support for children with ASC at Brunswick Park Primary. Over the past year we have made significant changes in order to improve our provision for children with ASC. 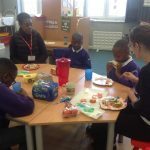 We aim to ensure children are supported appropriately according to their level of need in their mainstream classroom whilst still receiving the benefits of Resource Base provision and interventions. 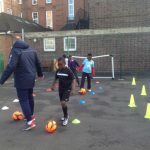 All children have the right to access the same opportunities as their peers and benefit from the modelling that takes place in a mainstream setting. Inclusion for children with ASC in all social, educational and functional aspects of school life appropriately according to their level of need. Support for children in the social aspects of the school day e.g. playtimes, assemblies and the dining area. 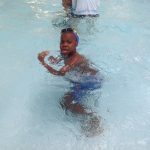 Children every opportunity to work with their peers in their classes and to be involved in the activities set out for the class. Staff that are trained to meet the exceptional needs of these children. Appropriate structures to support the children with organising and making sense of their day. Clear structures reduce anxiety when the world can seem very confusing and unpredictable. 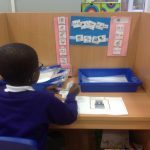 A Resource Base classroom to provide a sensory and language rich curriculum with structure and routines to support learning and progress in all areas. Support for parents and carers through a monthly coffee morning where parents and carers can meet each other, share experiences, advice and strategies, as well as hear from guest speakers and professionals who work alongside children and families of children with ASC or other special educational needs. The TEACCH approach is used by staff working with children who have ASC. 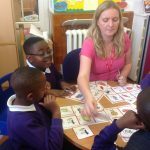 TEACCH enables children to develop independence in learning and to consolidate skills in core areas of the curriculum and in other individual target areas for each child. To find out more please visit http://www.autism.org.uk/about/strategies/teacch.aspx. Therapy, advice and provision appropriate to each child’s need. Our speech and language therapists have extensive experience of working with children with ASC. In addition they provide training, support and advice to our school staff who working closely with the children. Children take part in a range of activities to support and develop fine and gross motor skills. A sensory room is available for children according to need. 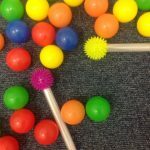 We have a wide range of sensory toys, tools and equipment to meet the children’s individual sensory needs. There are also sensory play sessions during the week for children who need this additional provision. These additional sessions are for children who may find these physical aspects of the school curriculum more demanding or over stimulating. Teachers can tailor the lessons according to need and have the opportunity to encourage talents and skills. Children in years 1 & 2 spend the afternoons in the Resource Base classroom where they receive a sensory and language rich curriculum with structure and routines to support learning and progress in areas such as social communication, fine motor skills, gross motor skills, sensory play as well as developing core skills of reading, writing, numeracy and handwriting through methods such as TEACCH. This is a practical approach to essential skills in looking after ourselves, independence, being aware of our families, our friends, the community and world we live and how to stay safe and avoid risk and harm. Children enjoy regular visits to the supermarket, library, and have the opportunity to cook with the food they buy. Children in key stage 1 also use small world and role play activities to support this curriculum and develop skills for everyday living such as cleaning their teeth and getting dressed.